The health food is considered to be the food, which is beneficial to health, beyond a normal healthy diet required for human nutrition. It is also referred to as functional food ie food for which a specific claim of health benefits is made, such as that con - sumption of the food may prevent diseases. Jaggery, a product of sugarcane, is such a product which is rich in important minerals and vitamins. The magnesium present in it strengthens our nervous system, helps to relax our muscles, gives relief from fatigue and takes care of our blood vessels. It also along with selenium acts as an antioxidant and property scavenge free radicals from our body .The potassium and low amount of sodium present in it maintain the acid balance in the body cells and also combat acids and acetone and control our blood pressure. It is rich in iron, and helps to prevent anemia. It also helps to relief tension and takes care of asthma as it has anti allergy properties. It is good for migraine and at the time of post pregnancy it gives great benefits and removes all clotted blood from the body of a women within post 40 days after the birth of a baby. The preventive ability of jaggery on smokers smoke-induced lung lesions suggest the potential of jaggery as a protective food for workers in dusty and smoky atmosphere even for those who are engaged in woolen industries, the wool dust clogged in the food pipe could be cleared with jaggery. Thus, jaggery helps to breathe easier and counters the pollution problems naturally. It has moderate amount of calcium, phosphorous and zinc which help to mainatain optimum health. It also purifies the blood, prevents rheumatic afflictions and bile disorders, and thus helps to cure jaundice. The current article briefly describes about the manufacturing process of different forms of jaggery and jaggery based products which are most appropriate natural health food for major portion of Indian population living in the rural areas. Jaswant Singh, currently working as Principal Scientist (AS &PE) in the Division of Agricultural Engineering, Indian institute of Sugarcane Research (ICAR), Lucknow was Head of the Division , Project Coordinator(Process Engg. 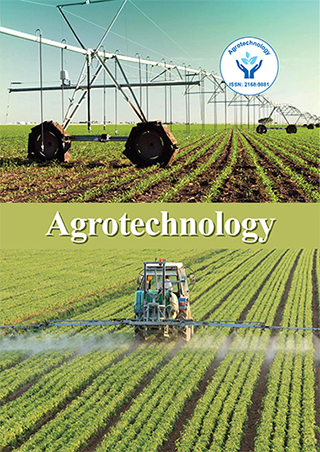 ),AICRP on PHS of Jaggery & Khandsari, President of Engineering Sciences Section of Indian Science Congress Association , Vice-President of the Indian Society of Agricultural Engineers as well as of Association of Sugarcane Technologists of India . He has more than 200 research papers, 20 bulletins and 5 books to his credit . He has been awarded with various awards viz; Fellow Institution of Engineers (India), Fellow ISAE, Chartered Engineer of IE (I), Member Institute Management Committee of IISR Lucknow (1996-99), CIAE Bhopal (1986-89, 2008-11) and CIPHET Ludhiana (2008-11), Outstanding team award of ISAE and outstanding book award of ISAE. He has been engaged in R&D activities in the area of post harvest process and food engineering for the last 35 years.